Getting top rankings on Google search engine results pages (SERPs) were quite easy in the past. But now, the terms and policies are changing. You have to be aware of a number of criteria to show up in results. The Google Page Rank system determines the most applicable websites for every keyword. An SEO expert or a professional digital marketing agency can help your page show up higher in SERPs. An online marketing agency will guide you on the right path. The trick here is to find the one that is worth investing in. You can find hundreds of SEO agencies who claim to be experts. But only the best can help you achieve the results you expect. Trusting someone with your whole website and online image is a risky task. As such, it must be done with utmost care. On checking out Google, you will find a large number of SEO companies. The top ranked companies may be the best, but they even charge too high. Here, the question you need to ask yourself is”Will it be worth it?” A small business will not require a huge and mighty firm for business. The best way to search will be to ask your vendors and peers. People in the same field will be able to give you honest and reliable suggestions. Stay away from spammers and hire only trustworthy employers for your job. Finding an SEO firm in your own locality is a good idea as it helps develop interpersonal relations as well. Find out the history of the company and their market record also before you commit to a deal. You need to have a basic idea about how much is your budget and how much you can afford to spend on online marketing. This should be the basis of your interactions with any Digital Marketing Agency. Fees will keep varying, so you must keep a clear cut idea. There are some freelancers that charge really low, making it a viable method rather than approaching large firms. But, you must never go for cheap labour, as it may affect the quality of the output as well. The payment may be hourly, project-wise, or by the web page. Different companies have different policies. One more thing you need to keep in mind is that SEO will be required even after the changes are done. Maintenance is also an important task. You must confirm the rates for maintenance as well. Once the rates are decided, you need to make clear about the Return on Investment, and how you could expect to track it. Regular updates and reports must be provided for you to understand the progress. If not, then you may be in for great trouble! You need to discuss the techniques the online marketing agency plans to implement. Stay clear of all black hat techniques, or else your website could even be banned. Have a clear communication plan in mind before moving forward. It is important to have an idea about the past background of the company. First-hand information from previous customers would be really helpful. You could ask them for at least three names from whom you could get an honest opinion. These clients will be able to tell you how long it took for them to see positive changes, how it impacted their business, how the firm was able to keep up to their commitments, their satisfaction level, and so on. On Googling the name of the firm, you may even hit on reviews and experiences by customers. Not all companies have their own website, so you may not have much luck in that route. Recommended Read: Website Localization – The Future of Digital Marketing? 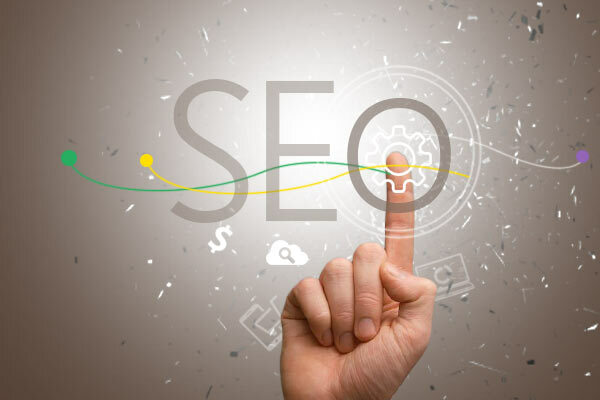 A good SEO company must be able to put forward an intelligent strategy in front of you. Page rank, keyword optimization, and linking strategy are most important. Give them a chance to demonstrate their capabilities and give you a basic idea about their style of work to understand them better. Moreover, they must also be able to cater to your website irrespective of the size. For your business to succeed and reach the top ranks, it is essential to make full use of the online marketing opportunities in front of you. An apt online marketing agency will be able to offer you all the results you expect and even more. So, stay alert, be on your guard, and choose wisely. The future of your firm depends on your decision. You cannot afford to make mistakes.